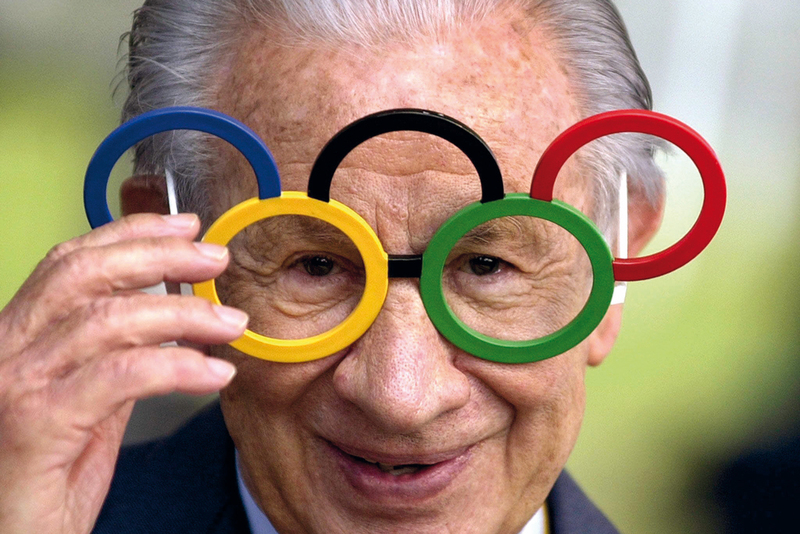 Sebastian Coe on how Juan Antonio Samaranch revolutionised the Olympic Games. If the Olympic headquarters in Lausanne, Switzerland, was a modest property by a lake when I first visited them nearly 40 years ago, its cash reserves of $200,000 were even thinner gruel. When the seventh president of the IOC, Juan Antonio Samaranch, began his tenure, politically the movement had lost its way. It was dealing with its second boycott in a row, a handful of low-grade Olympic sponsorships and the real risk that the world of Olympic sport would divide East and West, not simply as a hostage of the Cold War, but also because of the eroding ethos of the worthy amateur. Among the rather tedious airport books on leadership, there is one question that abounds: ‘Are leaders shaped by the times or do they shape the future?’ In reality, the answer is both. Samaranch, a proud Catalan from a bourgeois background, his family prospering through textiles, served Spanish sport in an escalating set of responsibilities from the early 1950s. Some controversially flag his presence in the Franco regime as a sports minister. As early as 1951, he created a world championship for roller-hockey (his sport) and was made an International Olympic Committee member in 1966. His elevation was rapid. His friendship with King Carlos (once Spain regained its democracy) served him well. He was made Spanish ambassador to the Soviet Union and Mongolia in 1977. But this was not just another notch on his CV. To win the presidency of the IOC in 1980 at the forthcoming games in Moscow, he would need unfettered access to IOC members and the political leadership of the Soviet sphere of influence. He won clearly after the first ballot. Although physically slight, his appetite for reforming the slothful metabolism of the Olympic movement was energetic. By 1981, he had gained national governmental and international organisational status, and was also prescient enough to recognise that sport itself could not prevent the boycotts that had tragically affected the ambitions of so many athletes. He needed global political leadership. He also allowed women to become IOC members in the same year, driving gender equality across the field of play and, fitfully, through its governance structures. Before he appeared on the scene, most Olympic sponsorship was confined to the local level. Within a few years of his presidency, some of the biggest hitting global corporates were fighting for space at the table. From a village industry he had created a multi-billion dollar operation in an improbably short time. He split the winter from the summer games allowing TV and sponsorship monies to be spread over the Olympic quadrennial. He also created the Court of Arbitration for Sport, the World Anti-Doping Agency and, probably his single proudest moment, asked the Spanish king to formally open the 1992 Olympic Games in his beloved Barcelona. It should not be overlooked that the Salt Lake City scandal saw a number of IOC members removed, nor the escalating concerns expressed around the insidious growth of doping in sport. I have little doubt, however, that Samaranch is a worthy recipient of our first nomination to the Game Changers Club.